My daughter is only 3 1/2 & is forever changing her mind. Today her favorite book is ‘Are You My Mother?’ Last week it was ‘Harold & the Purple Crayon’. Today her favorite character is Milly from Umizoomi & last week it was Joy from Inside Out. A few things have stayed consistent. 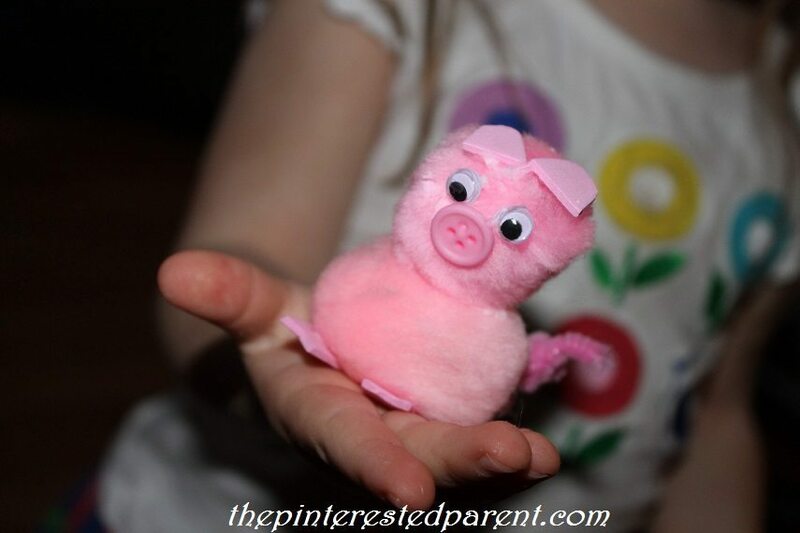 Her favorite thing to play with is Play-Doh, her favorite color is pink & her favorite animal is the pig. 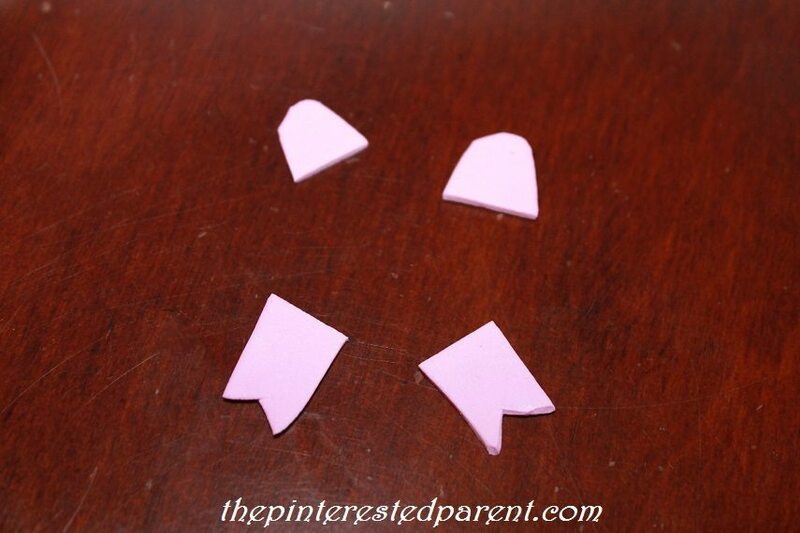 She was playing with a bag of craft buttons the other day & began separating all of the pink ones from the pack. 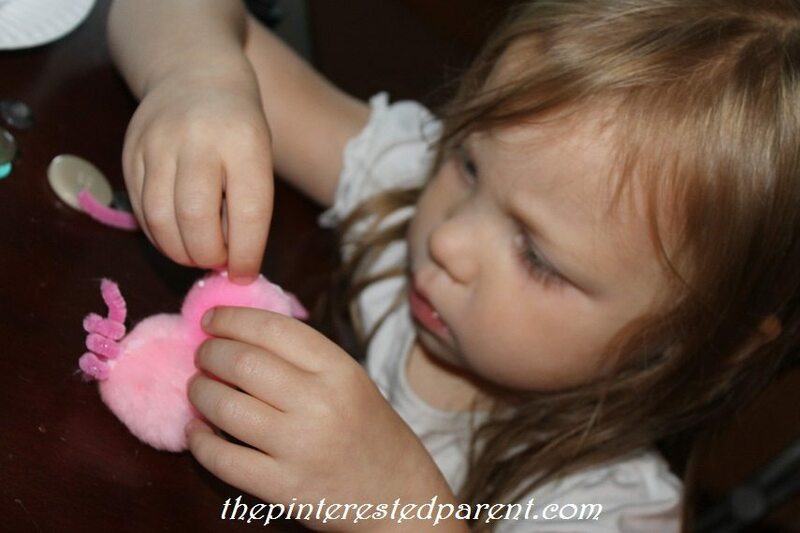 She explained that she was saving them because we needed to make piggy noses out of them. 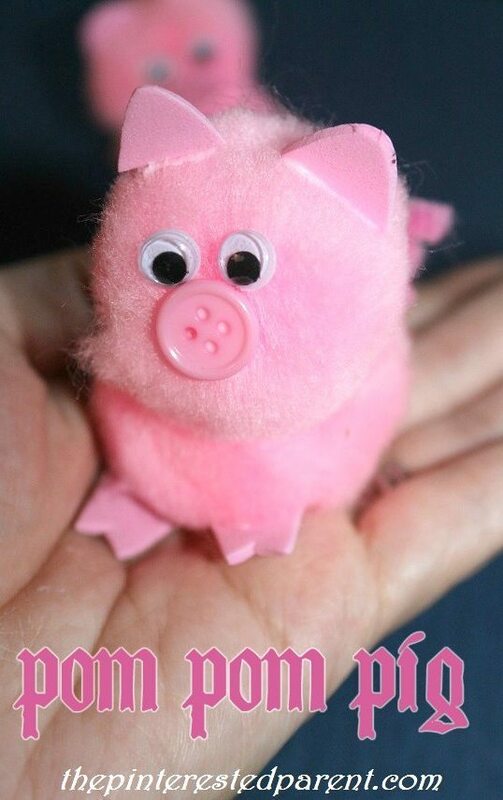 That brought us to this adorable craft. 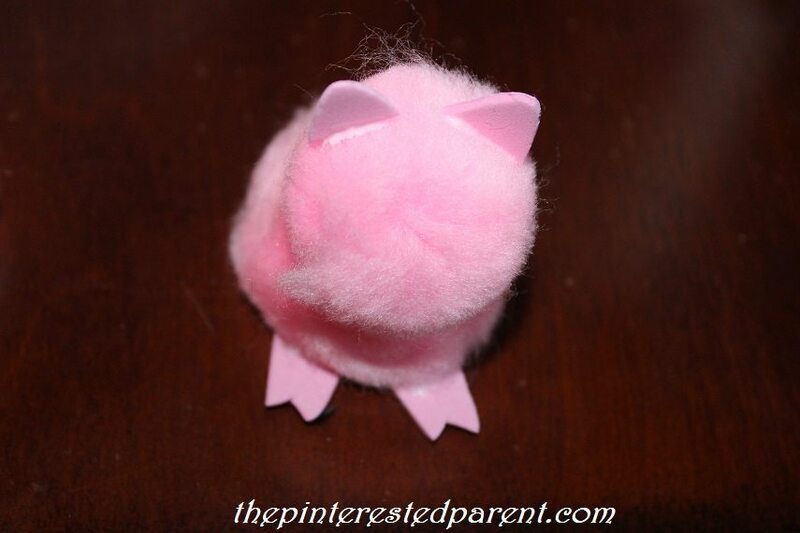 Cut the ears & feet out of the pink foam & put to the side. 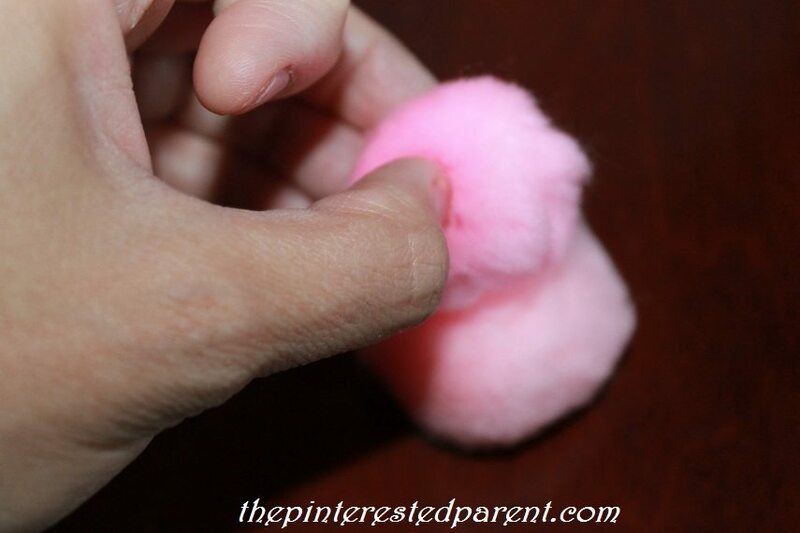 Glue the smaller pom pom to the top of the bigger one. Glue on the ears & feet. 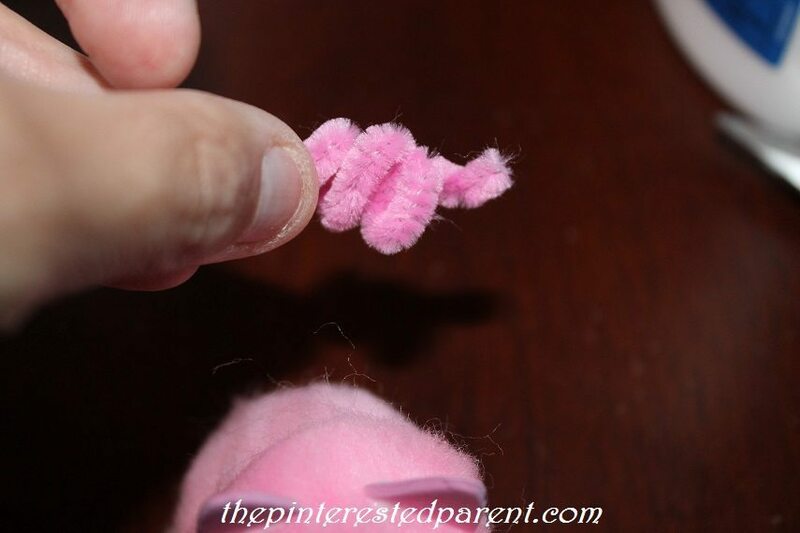 Cut a piece of pipe cleaner & curl it into a spiral tail. Glue the side of the tail and place it so that the curly end sticks off to the side. 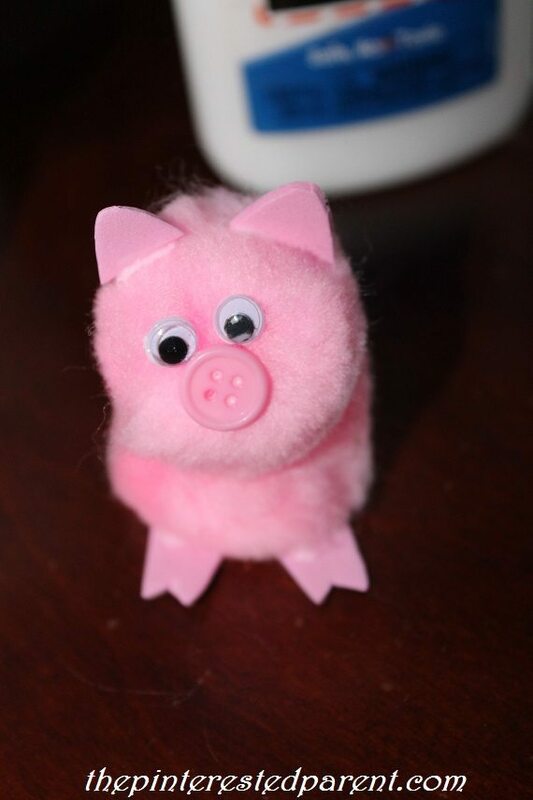 Glue on googly eyes & a button for the snout. Mai needed a little help with the eyes, but otherwise put her pig together by herself. She did a great job. Mommy made a cute one too. She is a pinky girl. Pink & purple is all that she wants.